Styx Play Sold Out Hard Rock Rocksino ! 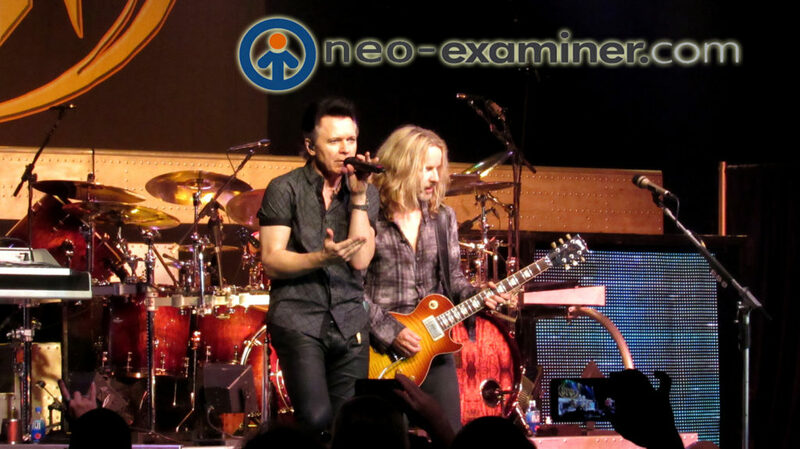 Northfield, Ohio – The Hard Rock Rocksino Northfield Park literally packed the house earlier this week with the seminal rock group ” Styx “. 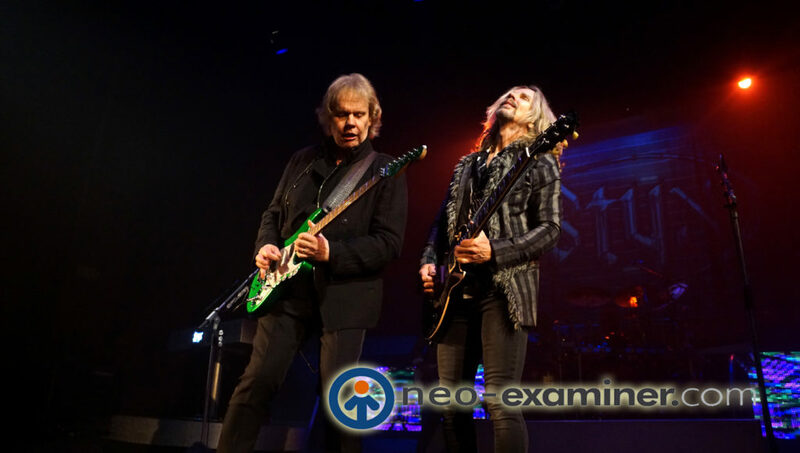 Styx, who’s string of commercial and critical hits of the 1970’s and 1980’s paved the way for a generation stopped by Hard Rock Live for a trip down memory lane and to create new ones. New ones you say , yes you heard right, new ones in the form of a brand new release with the physical copies of ” The Mission ” for fans to hear and live performances of several of the tracts .You know a band is a cultural phenomenon when modern television audiences have a hit television show ” That 70’s Show ” and use them a a major plot point in an episode . I was excited to finally get a copy of ” The Mission ” a concept album about a planned mission to Mars in the very near future . Look for a complete review of it but suffice to say for now ,the live versions went over with well with the audience . Future classics like ” Gone , Gone, Gone, ” opened the show. My favorite Tommy Shaw song ” Blue Collar Man ” followed up next along with ” The Grand Illusion ” all of which prove why this band has had such sustainability over the decades and a huge dedication of fans. ” Radio Silence ” continued the musical feast from the new album along with ” The Outpost ” .The fans favorites were played as well including the rebellious ” Renegade “, the dreamy ” Come Sail Away ” and ” Angry Young Man ( Fooling Yourself ). The band also did two you very special things that show , one playing a tribute to Tom Petty by playing a highlighted version of “Free Fallin” to a appreciative crowd .One other item was the band has a charity called ” Rock To The Rescue ” started by Tommy Shaw’s daughter Hannah in which the band raised money by raffling off an autographed guitar and the funds go to a local charity and at this show is was the Akron Canton Regional Food Bank . The funds raised were enough for over 2000 meals. 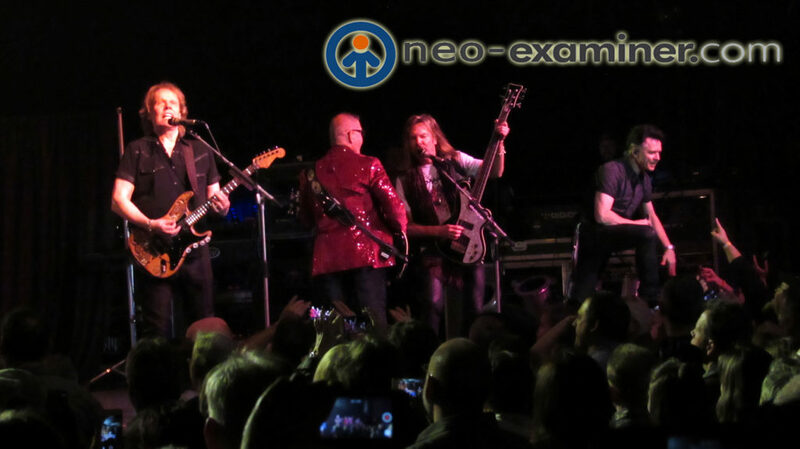 Author EditorMaxMagPosted on November 11, 2017 November 12, 2017 Tags Hard Rock, StyxLeave a comment on Styx Play Sold Out Hard Rock Rocksino ! 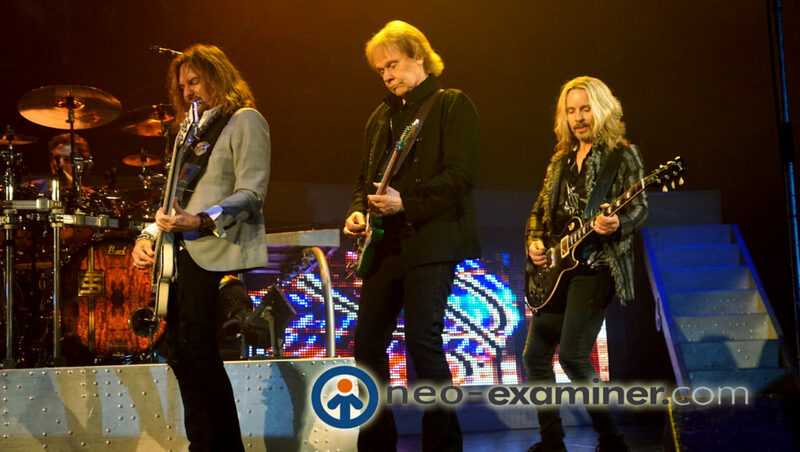 Youngstown ,Ohio-The iconic rock group Styx , whose mega hit career that has spawned decades of rock anthems descended from the heavens to play a sold out show in Youngstown this week. The historic Stambaugh Auditorium has had many famous artists grace their stage in nearly 100 year history. Stambaugh has hosted a wide variety of performers, educators and speakers. Artists from Tony Bennett to Bob Dylan, American Ballet to Liberace, Bruce Springsteen to orchestras and countless others have all graced the main stage and on this day Styx was in town to rock the place. The event was made possible from the team behind Sunrise Entertainment , Marty Cohen and Ken Haidaris whose hard work and dedication is striving to keep music alive in the Warren/Younstown area and to this we salute them. The evening started out with an inspiring performance from opening act Levon , a trio from Nashville, TN. The lights went dark and a hush went thru the crowd as the eagerly awaiting Styx hit the stage with a wall of sound .The first track of the night was “Gone, Gone, Gone” to be followed by their biggest hits and some fan favorites including , ” Blue Collar Man “, ” The Grand Illusion “, ” Lady” and many more . The musicianship, showmanship and pure joy coming of of the stage was transferred to the audience as smiles and air guitars rocked the place to the rafters. 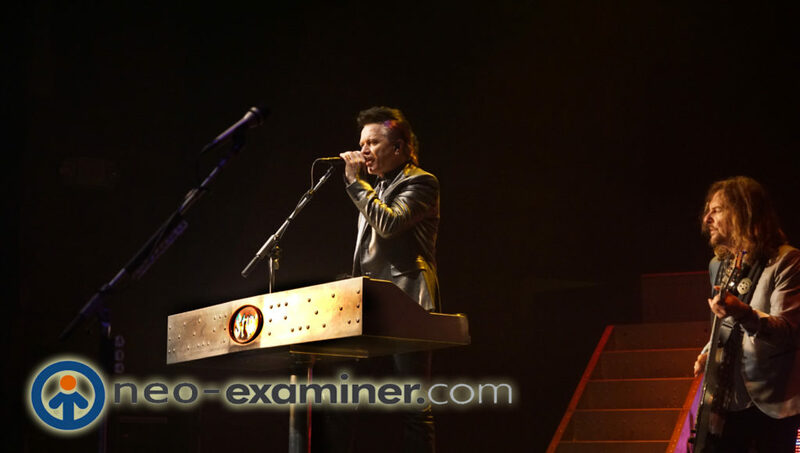 Lawrence Gowan is one of the most talented and gifted vocalists I have ever heard and puts on a stellar show and included a melody of hits and stories including one about him and John Lennon’s piano to delight the crowd. Sunrise Entertainment To Bring Rock Icons Styx to Youngstown ! A night not to be missed with these true icons of music ! STYX bringing over four decades of Classic Rock hits to Stambaugh Auditorium!!! On Thursday, May 11th at 7:30pm, Stambaugh Auditorium and Sunrise Entertainment will welcome classic rock icons STYX to Youngstown. Styx is entering their second decade of averaging over 100 shows per year. Tickets go on sale Friday, February 10th at 10am through the Florence and Ward Beecher Box Office at Stambaugh Auditorium. Tickets for this show go on sale Friday, February 10th at 10am. For tickets, call 330-259-0555, go to stambaughauditorium.com, or visit the Florence and Ward Beecher Box Office at Stambaugh Auditorium in person. The box office is open Monday through Friday, 9am-6pm and Saturday, 10am-2pm. 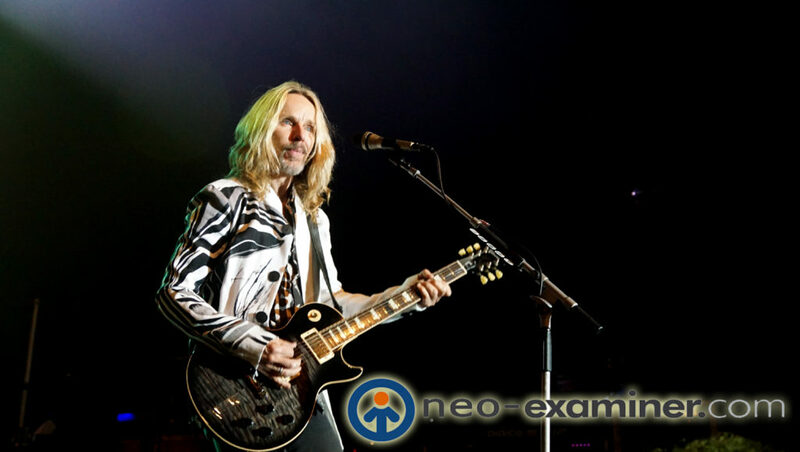 Author EditorMaxMagPosted on February 16, 2017 Tags Styx, sunrise entertainment, Tommy Shaw, YoungstownLeave a comment on Sunrise Entertainment To Bring Rock Icons Styx to Youngstown ! 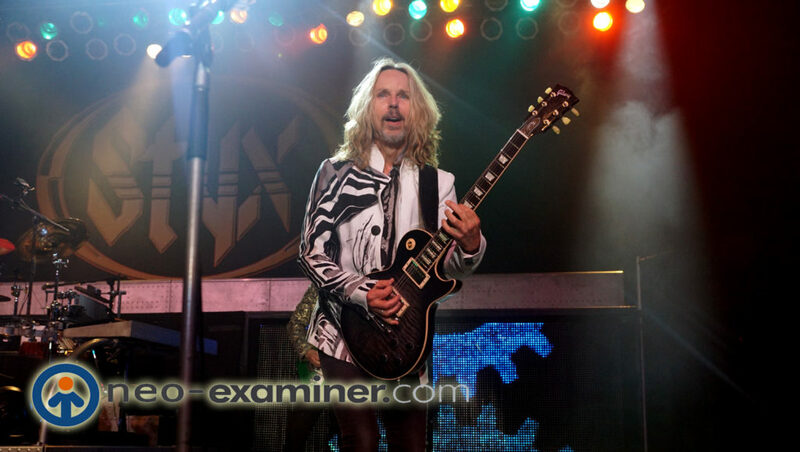 Tommy Shaw of Styx -Photo of the day ! One of the best show of my life , amazing performance ! 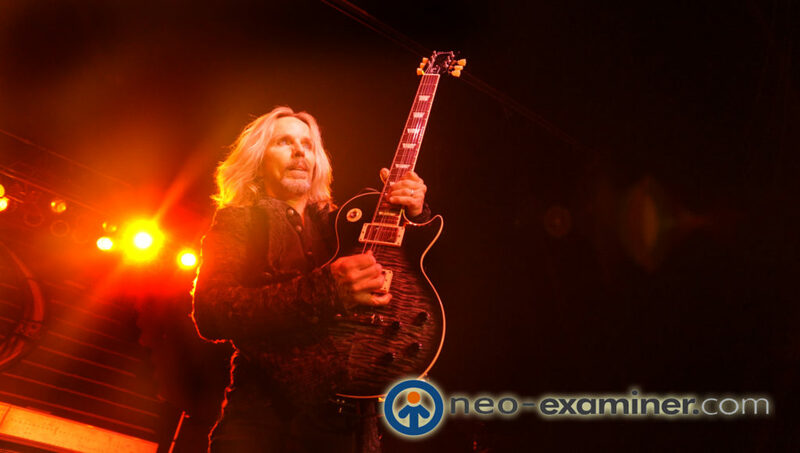 Author EditorMaxMagPosted on November 17, 2016 Tags StyxLeave a comment on Tommy Shaw of Styx -Photo of the day ! 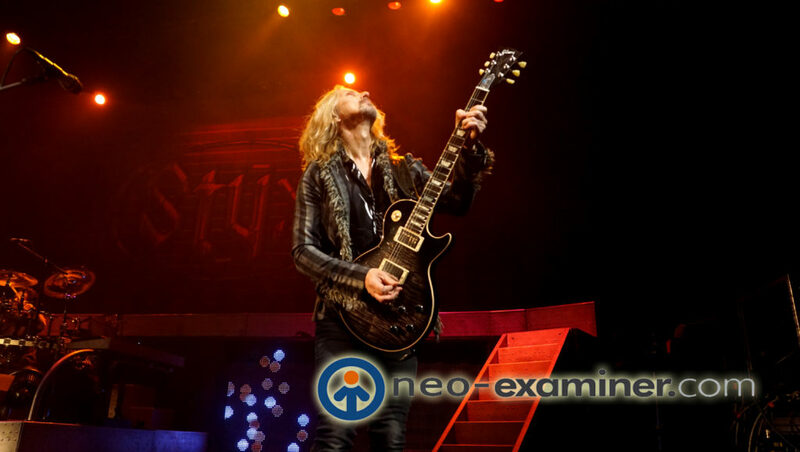 STYX performing in Northfield, OH on Tuesday, November 15 at Hard Rock Live. Legendary and multi-Platinum rockers STYX–Tommy Shaw (vocals, guitars), James “JY” Young (vocals, guitars), Lawrence Gowan (vocals, keyboards), Todd Sucherman (drums) and Ricky Phillips (bass), along with the occasional surprise appearance by original bassist Chuck Panozzo—are back on the road for their 2016 tour. At each tour stop, Rock to the Rescue—spearheaded by Tommy Shaw’s daughter, Hannah and is a 501(c)3 nonprofit organization founded by the band, whose mission is to build strong, healthy communities through the support of grassroots organizations across the country–researches local nonprofit organizations and picks one to see if they are interested in volunteering to help the band sell $10 tickets for a drawing to win a signed STYX guitar at the shows. They give these organizations a percentage of the sales as their way of supporting their cause and thanking them for supporting the band’s cause. Rock To The Rescue was founded on the principle that our communities are stronger when we work together in mutual aid. 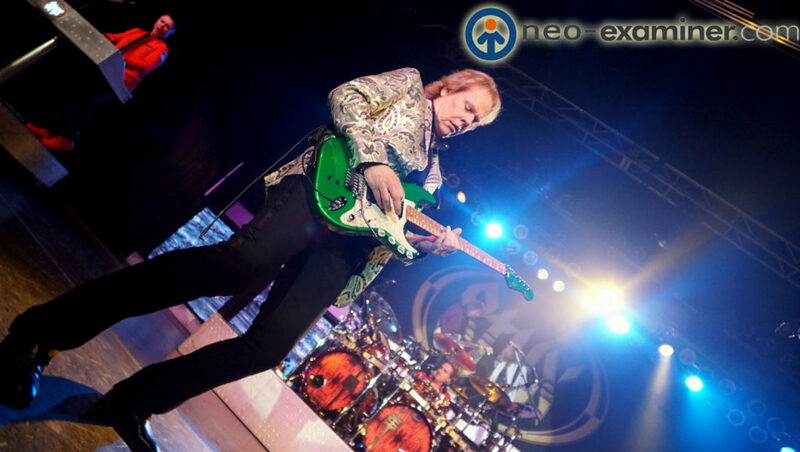 Having played thousands of shows in the last 15 years, STYX has been strongly connected with communities across the country. With local fans and community members making an effort to join in support of STYX, it is important to the band to actively participate in these communities as well. What makes Rock to the Rescue unique is that they work on a grassroots level with small groups, giving real support to real individuals who are creating positive changes in their communities. Rock to the Rescue is building initiatives in the areas of music education, health and well-being, disaster relief and aid, and animal welfare and rescue. Rock to the Rescue originally started in 2001 as a result of the 9/11 terrorist attacks and is the brainchild of STYX singer/guitarist Tommy Shaw and REO Speedwagon singer/keyboardist/guitarist Kevin Cronin. The two musicians brought together bands and artists such as Bad Company, Journey, Survivor, Kansas, Lynyrd Skynyrd and many others to be part of “Volunteers For America” concert events in Dallas and Atlanta that ultimately raised over $775,000 for victims of 9/11, as well as the Port Authority police department in New York City. In 2014, Rock To The Rescue raised $10,000 for the Philadelphia Fire Department Local #22 Widows Fund at the “Soundtrack of Summer” show (with Foreigner and former Eagles guitarist Don Felder) in Camden, NJ on July 3, as a thank you to the local fire department for cooling down STYX’s burning crew bus the day before. And in 2013, Rock To The Rescue hosted a sold-out concert with STYX, REO Speedwagon, Ted Nugent, Survivor, Richard Marx and Larry The Cable Guy, in Bloomington, IL at the U.S. Cellular Coliseum that raised $450,000 for victims of the horrible storms in Illinois. Also in 2013, Rock To The Rescue presented the Boston One Fund with a check for $108,000 for victims of the Boston marathon bombings as a result of funds raised during the “The Midwest Rock ‘N Roll Express” tour with STYX, REO Speedwagon and Ted Nugent. On November 19, 2015, Rock To The Rescue donated $25,000 to The Sweet Stuff Foundation to help victims of the Paris terrorist attacks. In honor of the musicians and crew who lost their lives in the attack at The Bataclan music venue in Paris where Eagles of Death Metal were performing, from that date through December 31, 2015, Sweet Stuff dedicated all money received directly to the surviving families of those who passed away, including that of the band’s merchandise manager, Nick Alexander. The Sweet Stuff Foundation was founded by Queens of the Stone Age’s Josh Homme, who is also a key recording member of Eagles of Death Metal. 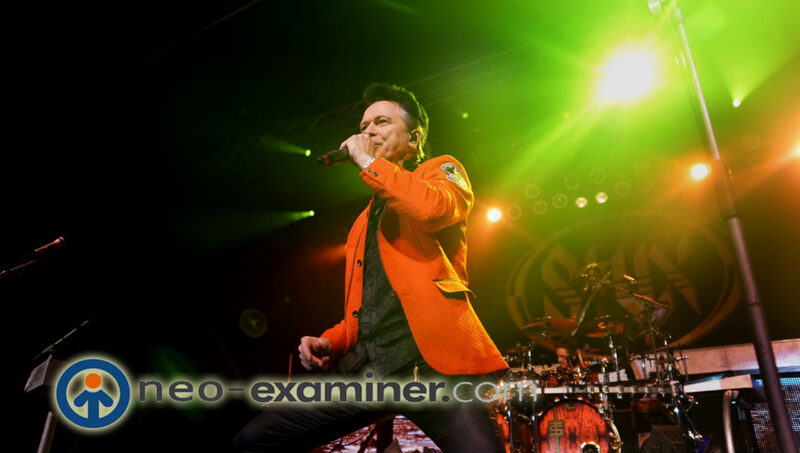 Author EditorMaxMagPosted on October 27, 2016 Tags StyxLeave a comment on STYX performing in Northfield, OH on Tuesday, November 15 at Hard Rock Live.